Someone needs to take the spray paint away from me before I lose ALL my brain cells. I went a little nuts on the gold spray paint recently, gilding my chippy old floral frogs into pretty new pencil holders, spray painting the sides of the granada cement tile samples and gluing felt to the bottom to make them into coasters and a trivet, and fancifying our Ikea lighting! 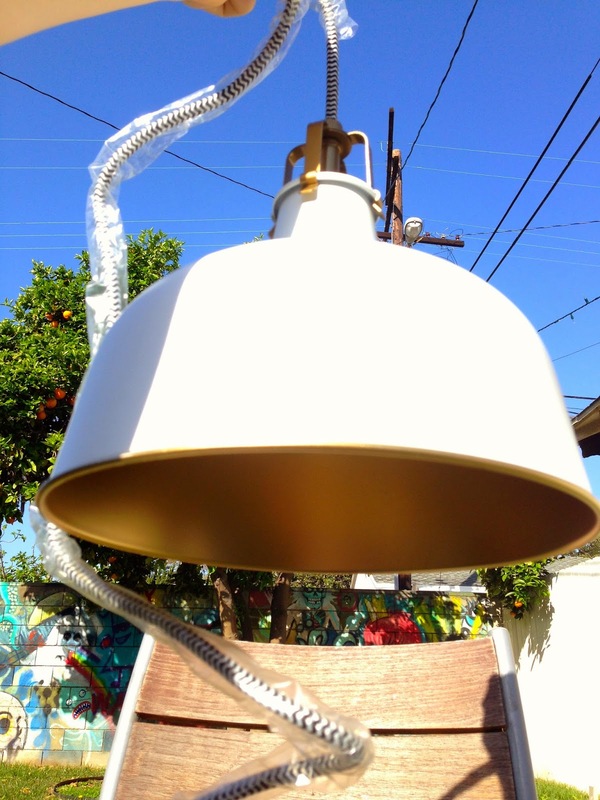 We got both sizes of the white powder coated metal Ranarp pendant lamps for the kitchen and to customize them a bit, I sprayed the insides of them gold. The rolled lip of the shade also got attacked with the gold paint, giving it a nice little border I think. 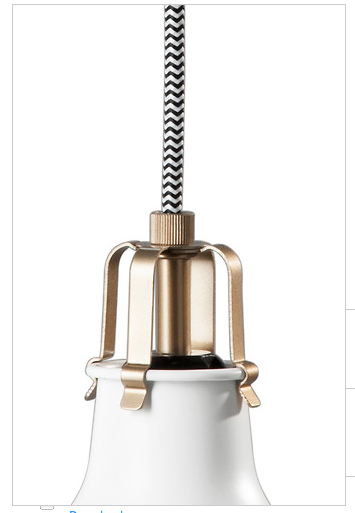 I love the brass bracket clamp thingy on top of the shade and the black and white cloth cord, exactly the look we're going for in the new kitchen. Clean lines and modern, but with a nod to the vintage. And my sconces!! 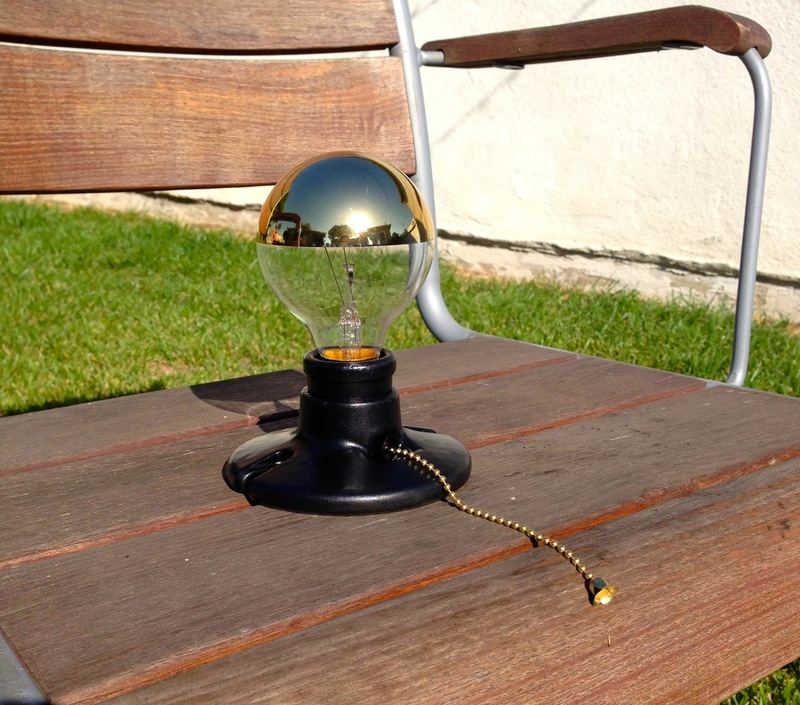 The gold capped light bulbs came in the mail this week and they are so awesome. I sprayed the white porcelain sockets black as I talked about doing here, and they came out matte black and to my liking. I love the little gold pull chains on them too, super happy with these, especially considering they were only $12.50 each! So fun, I love them all! Can't wait to see them post-install. Hi! 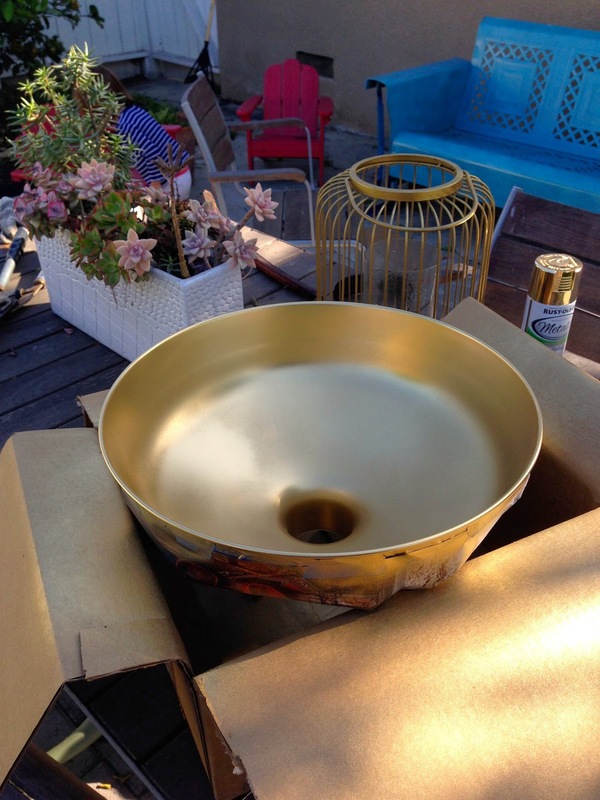 I just bought the larger size of the Ikea Ranarp pendant and wanted to paint the interior gold, just as you have. Could you please tell me what brand/colour of paint that you used? 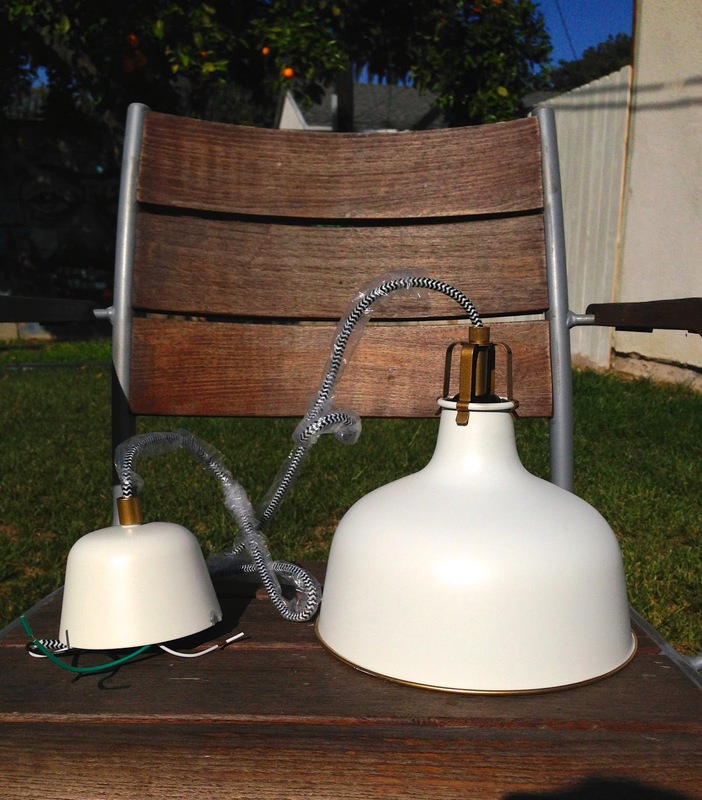 Also, do you have any tips for a spray-painting newbie? :) Thank you!